I have the amazing opportunity to listen, and really listen, to the pain that people are going through. As a therapist in the city of Los Angeles, I have felt the impact of the murder of Nipsey Hussle. This past week, several people are grieving the loss of a rapper and entrepreneur whom have impacted the lives of many. In this blog, I can help you understand what it has been like to somewhat get an understanding of what you might be experiencing. It is a tragedy to go through death; and to talk about it is truly uncomfortable. But I think the death of Nipsey Hussle did not only mean that he is no longer alive, but he also symbolized the hope that he brought to his community and to many black people all around the country. He represented hope and opportunity for a better life. One reason as to maybe you feel strongly impacted by his death even if you did not know him on a personal level is that you may be experiencing your own personal feelings of grief that you may not even be aware of. When certain events occur, it wakes up a part of us that we may not have yet explored or may be needing more personal work. We all have lost people in our lives, and if not, we may know someone who has. Either way, the concept of mortality is in the forefront of your brain. 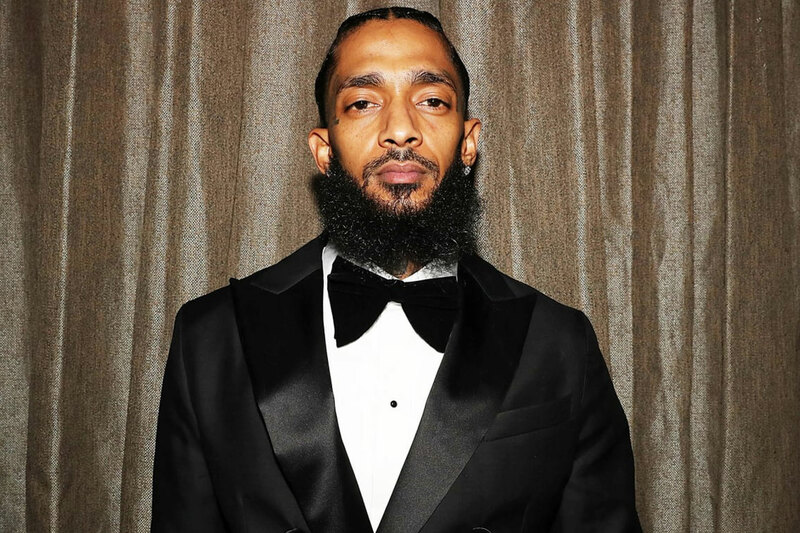 Events like Nipsey Hussle death can highlight your personal experience with death. In the Black community, violence is a common occurrence. For some of us, we may also have a history of death by violence in our family, friends, or close circles. This brings us face-to-face with the feeling of the loss of someone close, which we may have felt in the past. Another reason that could contribute to your grief of Nipsey Hussle death is the loud presence in your day-to-day life. A very big community is grieving his loss and we see this all over the media or through daily conversations. Before we even know it, we’re already finding ourselves deep in the internet with articles and videos of this tragic event. The impact of a whole community grieving his loss is felt very strongly. Not only are you experiencing your own loss, you are also noticing the loss of the entire community. This is similar to the experience of going to a sports game. If your team scores, you feel the excitement a lot more than you would if you are watching on your own. The energy is bigger. Nipsey Hussle death, whether you knew him or not, can be impactful. When tragic news hit us, it is very important to talk about the ways that we can take care of ourselves. Exercise the love and compassion to one another. We need it more than ever in a time like this. Use kind words. Speak to yourself as if you are a speaking to a child. Give yourself permission to be imperfect. Grief is a tough one and there is no right way to grieve. Allow your emotions to come and go. Maybe take a day off of work, get yourself a yummy treat, take a warm bath, or go for a run. Sometimes, we are more affected by things more than we know. It is okay to get some rest and take the day to yourself. It can be extremely helpful when we can talk to other people who can understand what we’re going through. Support is essential during this time. The pain of death is too much for one person to handle. Support others and more importantly, allow other people to support you. When we minimize our pain, we step into a shadow and we don’t allow ourselves to be seen. We need to honor each and everyone of our experiences. Sure, the family members will be feeling the intensity of his death so much more, and this event might be reminding you of your own experience with death. Not one person’s pain is bigger than the other’s. As I mentioned, there is no one way to grieve and grief looks different with everybody. The emotion may come and go in different levels of heaviness. Allow yourself to sit in grief, even for just a moment. Processing your pain can be difficult to do on your own. Talking to a therapist can help you understand how grief has affected your life and how to help heal your pain. Death affects many people, no matter how closely related you are to that person. Make sure to take good care of yourself.